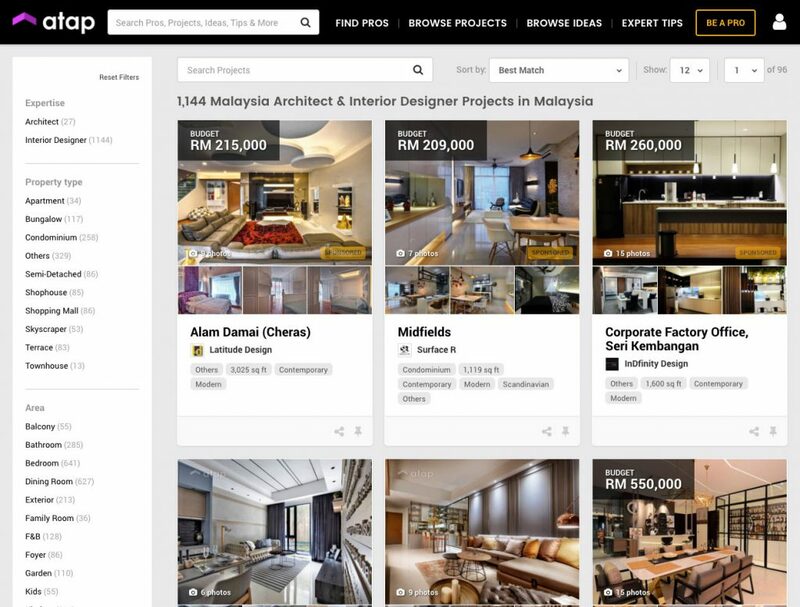 Atap.co is an online platform for interior design that links property owners to interior designers and design firms, and helps them facilitate design jobs and projects in a safe and transparent manner. Founded in 2016 by Shen Maosheng and Seow Yao Han, Atap.co now has approximately 442,000 monthly users, more than 1,200 local designers, and over RM236 million worth of projects on its platform. The prospect of undertaking a property renovation project can be a daunting one. For the inexperienced, not knowing which contractor to trust, how much to set aside, and what things to look out for can make a project incredibly stressful and full of uncertainty. 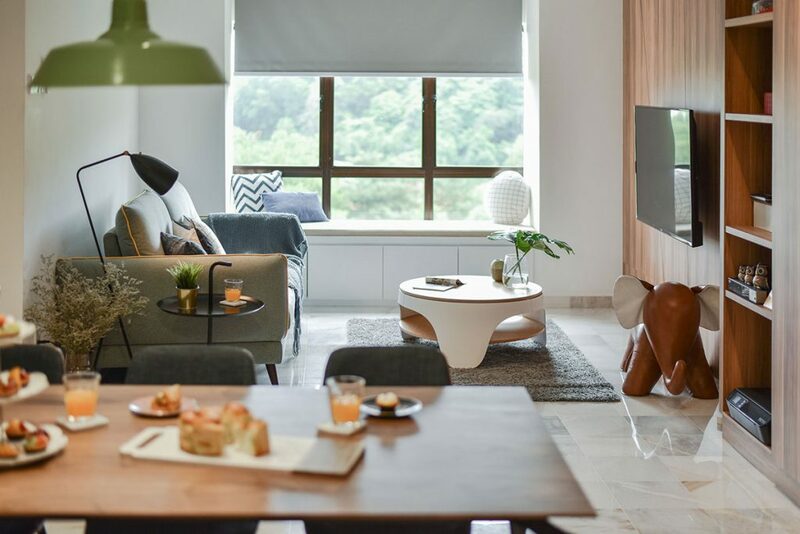 To provide a fix to this problem, buddies Shen Maosheng and Seow Yao Han (both 34) decided to create Atap.co, an online portal that acts as a matchmaking platform for interior design. According to Yao Han, the partnership between him and Maosheng began during their junior college days. Founded in April 2016, Atap.co provides an avenue for both property owners (both commercial and residential) and interior designers to link up and do business. More specifically, think of it like a matchmaking service, except for interior design. Property owners can log on to the platform, look through a list of local interior design firms, and then decide on one that they would like to contract to spruce up their property. If they see a designer they like, they can just send them a request for a free quote, or if they don’t have a preference, they could just send a general request to Atap.co. This general request will be then be turned into a “lead” that designers can obtain using credits. On the other end, interior designers can create a custom profile and portfolio, and directly receive quote requests from interested clients, or they can go shopping for leads using pre-paid credits on the platform. Throughout the whole process, Atap.co promises to make sure that every lead sent through the platform is inspected thoroughly by a team that will directly be in touch with property owners to verify and ascertain the finer details of each project. “We call every lead that comes in, we encourage property owners to be transparent about the renovation work that they want along with their budget,” Yao Han said. In a nutshell, Atap.co solves the problem of unreliable sources and misinformation by giving property owners a wider view of the local interior design market and its players. Design firms that don’t always get the top hits on Google have a chance to show what they’re capable of by showcasing their best work on the platform. And clients looking to get an ID job done can directly compare contractors to see what suits them best, all while Atap.co assures that the process is safe and transparent every step of the way. Currently, Atap.co sees around 422,000 monthly users as well as 1.8 million monthly page hits on its website. 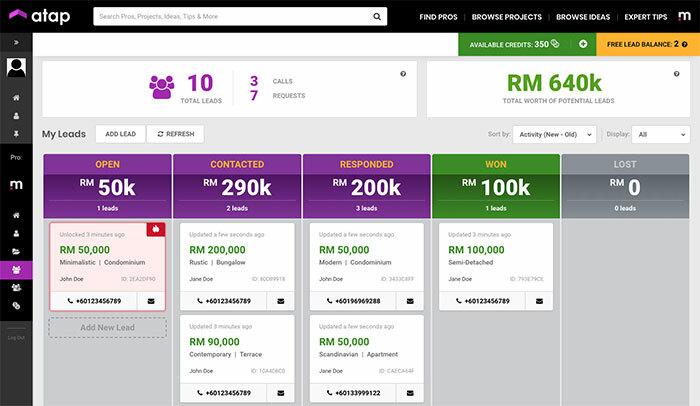 They also boast an estimated 1,200 unique designers, and claim to have around RM236 million worth of projects on the platform. 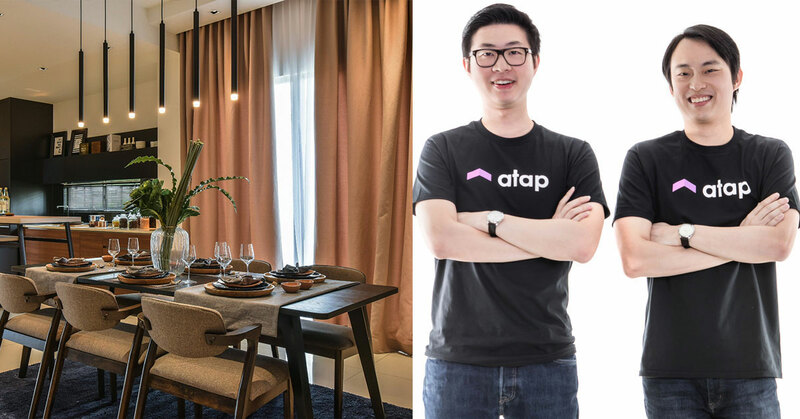 Although Atap.co’s platform isn’t the first of its kind in the interior design scene, Yao Han thinks it has turned out to become an advantage for his team. As for future plans, Yao Han said that Atap.co intends to introduce a slew of new product offerings and complementary services to add value to the interior design ecosystem locally. A third party escrow service to collect staged payments for projects. This will ensure that designers are paid in full when projects are completed, and that property owners’ requirements are met before final payments are made. An insurance plan for interior designers to claim up to RM300,000 for physical injury or property damage. Property developer profiles that will include detailed descriptions of properties along with 3D virtual tours of the spaces, as well as fully rendered designs of the property by designers listed on Atap.co. An e-commerce marketplace where home retailers can sell furniture, decor, and home improvement items. And finally, a custom website creator for aforementioned home retailers can customise their own page and host it on Atap.co. “Our ultimate objective is to have a presence at every touch point of a home owner’s journey, from buying a property, up till when they renovate and furnish their homes,” said Yao Han. To check out interior design listings or find out more about Atap.co, visit them on their website or Facebook page.